This post is sponsored by Cedarlane. All opinions are my own. My kids are coming and going all this summer. My daughter is in Virginia visiting her grandparents and a cousin, and my son will be leaving for the International Boy Scout Jamboree in Japan next week. Running around dropping off and picking up... sometimes I don't have time to cook. I like to keep a few healthy frozen dinners on hand for just such an emergency because I don't like buying fast food. 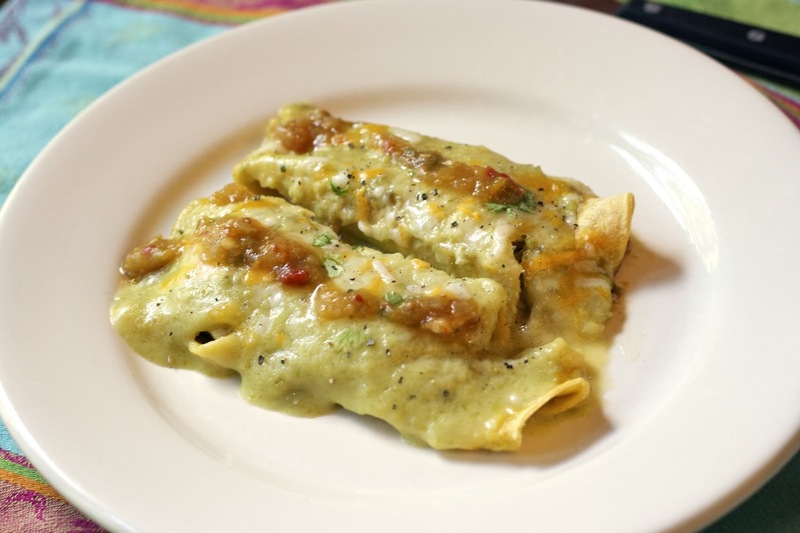 Cedarlane's Enchiladas are super quick to heat up in the microwave and they taste delicious. I tried their Quinoa & Vegetable Enchilada which is gluten-free with 12 grams of protein, 7 grams of fiber and only 340 calories. 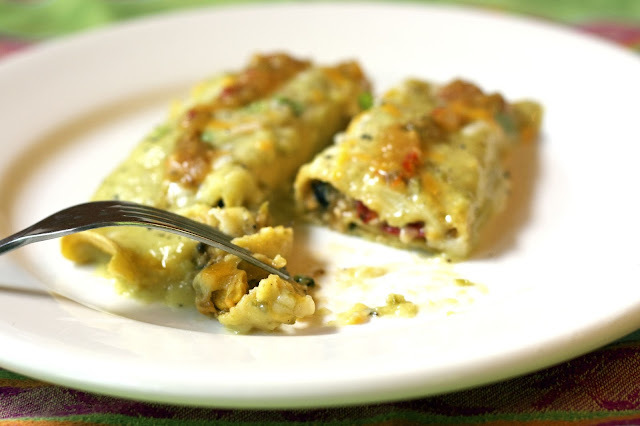 The dinner was a authentic Mexican corn tortilla filled with quinoa, black beans, Monterey Jack and cheddar cheese as well as roasted Anaheim peppers, tomatillos, corn, bell peppers, onions, mushrooms, yellow squash, black olives, and zucchini—all topped with a delicious Poblano Crema sauce. Really delicious Poblano Crema sauce... it was the sauce and the all natural ingredients that sold me on these enchiladas. 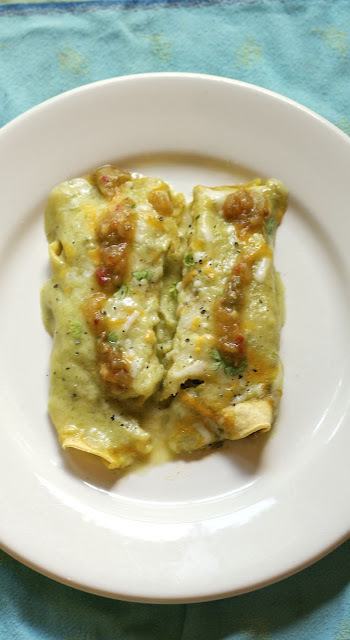 I added a little bit of spicy salsa on top because they are not spicy, which is good because not every member of my family likes their enchiladas spicy. 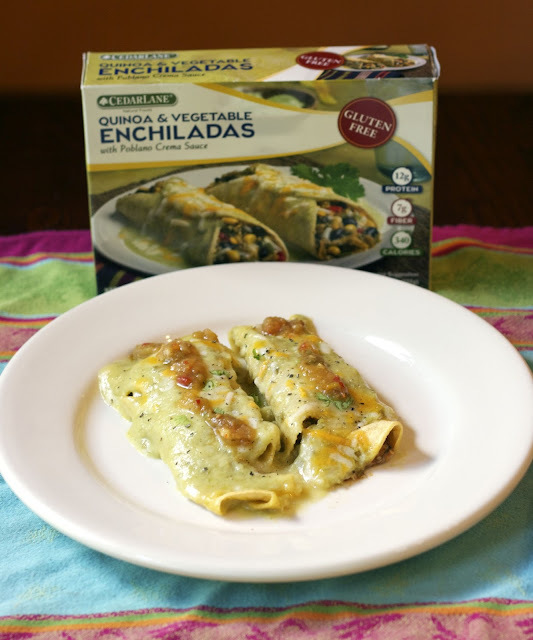 Cedarlane Enchiladas are definitely worth keeping in your freezer for emergencies and for days that are just too darn hot to cook! Meatless Monday: Leftovers... or New York City? Thursday: Chicken Tacos using Trader Joe's Taco Seasoning with Tomatoes, Guacamole, Sour Cream and Mexican Cheese. I hope the kids have a wonderful summer of adventures!